When you are not at home you can be stuck wondering, Is my home save? or my pets ? or my Child with the nanny? Is everything save? Etc. In the world of technology, there are many security systems which can help you stop worrying about these types of concerns. Technology provides you with some Best nanny camera with audio so, you can even see how things are going from wherever you or whenever you want is for some added peace of mind. These systems are integrated with your mobile phones and PC through which you can have the live video feed of what is happening, recordings of what had happened, Snapshots whenever some criminal activity or suspicious motion is censored, provide alerts through email or notification in your phone whenever it detects something wrong. Not only this you can also trigger the position of the camera to right, left, up and down in order to see a clearer view of what is happening. These cameras have two-way audio; have built-in mike and headphones through which the owner can have direct communication through which you can command a nanny of your child or your dog etc. There are many security cameras to select. Here are some of the Best Nanny Camera with audio. 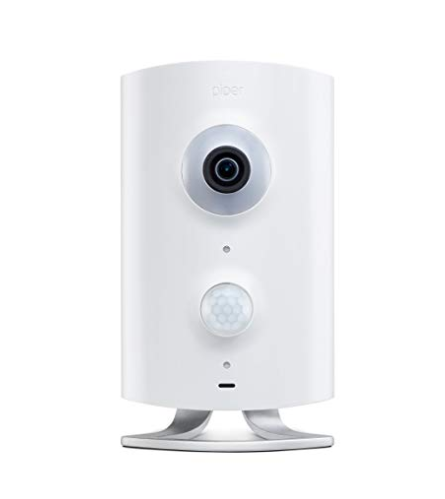 Arlo is a highly trusted manufacturer for home security systems and provides one of the Best Nanny Camera with audio, The Arlo Pro Wire-Free camera system is 100% wire-free rechargeable batteries which are a home monitoring system. Arlo system integrates with Arlo application which allows access through any mobile phone to have live HD video feeds, clear images, have recordings and set motion and audio detection sensors. Arlo Security Camera is a Weatherproof camera. They are designed to resist through hardest Climate conditions. 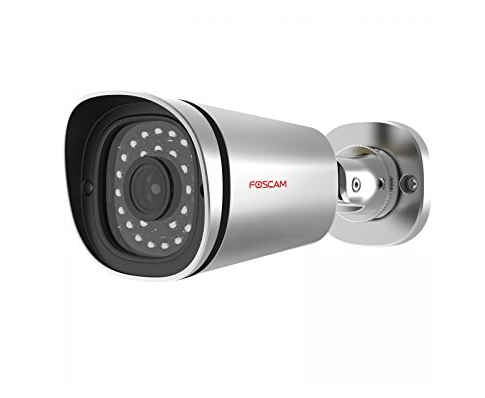 It provides you HD video feeds wit Night Vision Quality through which it can also work in dark and provide the clear image. When the sun goes down Night vision feature automatically switches on. Arlo provides you service through which past 7 days of recording is stored for free and can be accessed whenever you want. It starts recording automatically whenever any motion or sound is detected and alert you through Arlo application. Arlo Camera has a smart siren, which you can trigger remotely if you see something suspicious in the recording. You can also set the siren to trigger automatically when something suspicious happens. The Arlo camera use CR123a batteries, which are quite expensive. If you are daily recording a 4 5 minutes a day, the battery will stay in use up to 3 to 6 months but if you are using long recording a day like watching kids during nap, your batteries will get used up a lot faster. It starts recording with few seconds of delay after the motion detected. Also, someone coming towards the camera is not always detected, but someone going from one side to another side will likely to trigger the recording. It has only come in white color. So, it can be easily noticed by anyone. Its video quality is of 720p which is not as good as others. This camera can be used a wired or wireless both. It does not need any power supply you only need to plug it into the router using Ethernet cable. You can get a clear view of what is happening in your home through it. It comes in both black and white color. Black color can be used as a spy, so nobody cannot easily notice the camera. it has a wide 90° angle with 4 mm lens which allows if it is placed in a room a person can easily have the view of the whole room. This camera comes under the list of Best Nanny Camera with Audio. It captures high-quality video or image with the latest Sony image sensor. It allows you to receive quick notifications or email in your computer or Mobile phones when some motion is detected. Unlimited people can keep an eye by monitoring the motion. Can have the feature to listen or speak with the person who is being watched. It records video as well as the audio. It stores 4 hours free cloud storage. The camera does not notify when it losses power and the internet connection is lost. Motion detection and scheduling can be not be done using the app through your mobile as you need to use your desktop to do this. The application is not user-friendly which can confuse the user. It has 3x Digital Zoom. 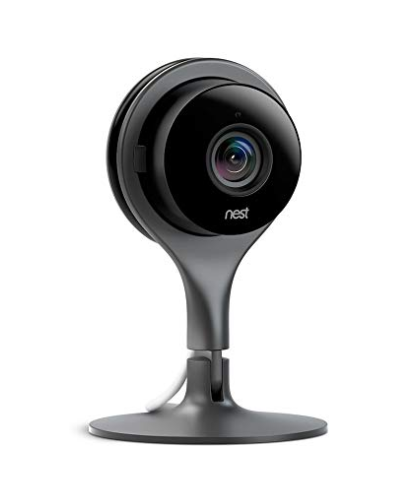 The Nest Cam is a Mini Wi-Fi IP Camera designed for indoor use only. It has a great hardware and specifications. It has a wide angle lens, capture HD video, and images in daylight as well at night. You will get snapshots alert on your phone or through email whenever some motion is detected. It works with Alexa for voice control. It has a built-in mike and headphone to communicate while watching. 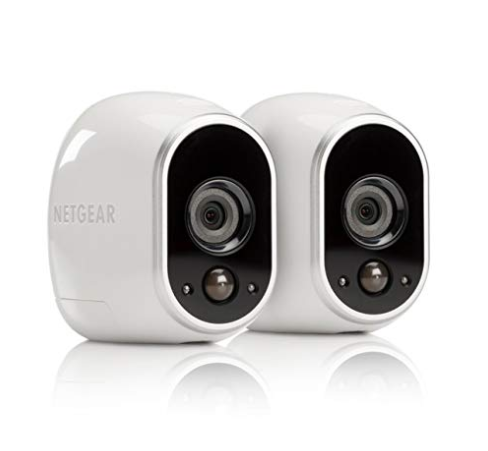 Its specifications and features provide you with one of the best Nanny cameras with audio. It provides you a clear image or video even in low light rooms. It responds to the motion immediately and gives an alert. It has two-way audio through which you can listen to everything happening as well as instruct. It records videos with Nest Aware subscription. So you save everything, just in case. It provides snapshots notifications whenever it sensor any suspicious action. The night vision of this camera has low quality as compared to the daylight vision. The camera should always be connected to the internet connection for work. It has no SD Card or other local storage. You need at least 2 Mbps of speed in your working internet. 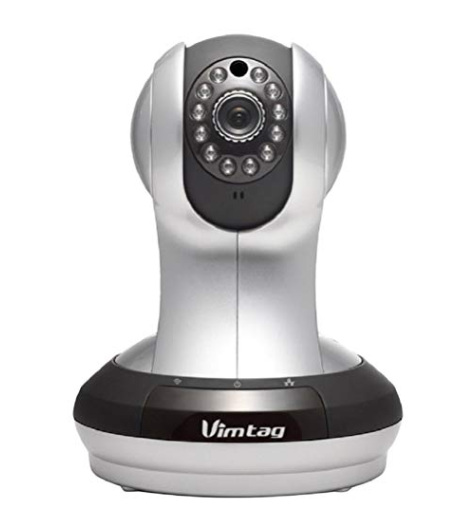 The Vimtag VT-361 HD camera is specifically designed for indoor activities. It is perfect for home security and remote monitoring. It also has a night vision feature which allows you to look over your house at night too. It has two-way audio through which you can also communicate while watching like a phone. It gives motion detection alerts through an application or any android or apple device. It records videos directly into an SD card. This camera provides super high definition Resolution through a 3.6mm lens. It has a built-in SD card which supports up to 128GB of storage. Provide good quality video as a Night vision camera. It can record video in the dark up to 10 meters. The camera is known for its HD video quality providing a clear image. It is not for outdoor activities because it is not designed to resist bad weather. It has no cloud recording. 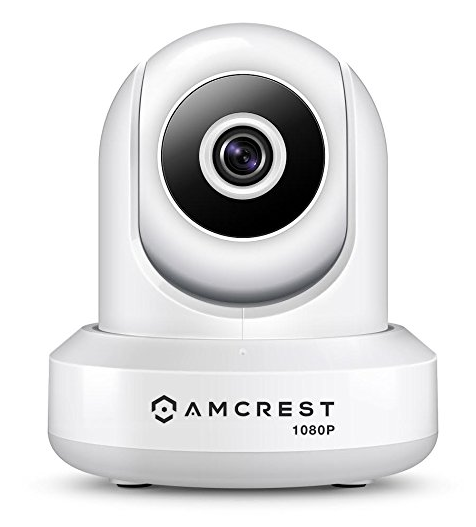 It is the most powerful outdoor camera and in the list of Best Nany Camera with audio because it provides night vision feature through which you can see 65 feet further in dark. It has 35 IR LED which helps you see in the dark. It provides you with a very high-quality resolution of 2560 x 1440p. It has 115 degrees of wide range. It provides you clearer image in both day and night. Remote service is also available in it. Night Vision feature up to 65 feet. Good quality image and video recordings. Automatic sound and motion detection. Provide you a notification when an alarm is triggered. It has a 6x zoom for the closer look. It has subscription fees in order to save recordings in the cloud. It only supports a few browsers. It has no Pan and Tilt Feature. 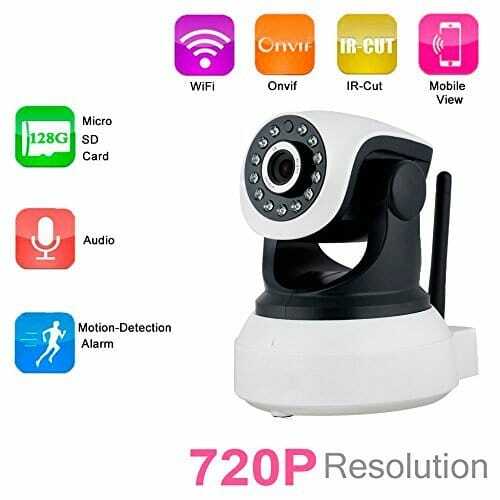 It is one of best Nanny Camera with audio. 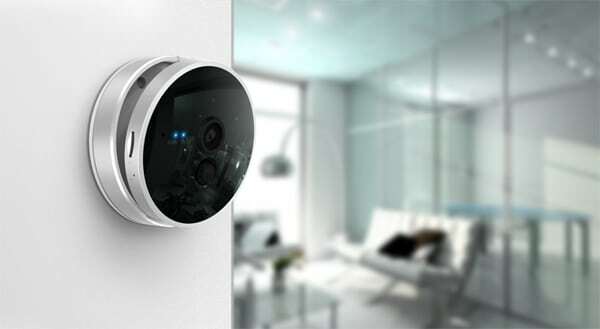 Piper smart Home security Camera has a very attractive body which provides you motion, temperature, humidity, light and sound sensors whenever it detects any unobvious thing in these sensors it sends you alert. The notifications are sent on your phone in the form of snapshots, messages, and email whenever they sense any unusual thing. It helps you watch live video feeds with no subscription fees. If you want to see clearly you can use tilt, pan, and zoom features. It has a wide field of view and has a loud siren of 105 dB. It provides you with a 180-degree field of view. Watch live video feeds with no monthly subscription fees. You can change positions of the camera by tilt, pan, zoom, and Quad-view features. You can use it as a video intercom. It has 105 dB sirens. It has a night vision feature through which you can see up to 30 feet. It has Motion, temperature, humidity, light and sound sensors. It has no smoke, fire and flood detection. It cannot be used for outdoor purposes.